Our publications are available both online and offline to help you consider your study options, or to assist you throughout your time here. 2019 Engineering Undergraduate Prospectus. Size: 1.0 MB. Type: PDF. Document Description: Discover the options and opportunities in undergraduate study at the Faculty of Engineering. 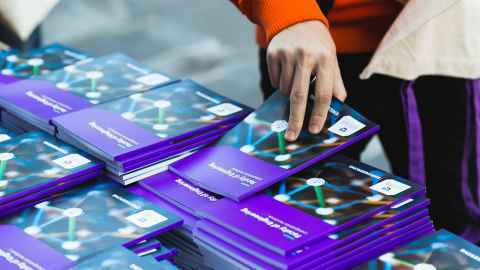 2019 Engineering Postgraduate Prospectus. Size: 2.3 MB. Type: PDF. Document Description: An introduction to postgraduate study and higher-level research with our faculty. Download this PDF file. Size: 2.3 MB. 2019 University of Auckland Undergraduate Prospectus. Size: 6.8 MB. Type: PDF. Document Description: An introduction to all undergraduate programmes across the University. Download this PDF file. Size: 6.8 MB. 2019 University of Auckland Postgraduate Prospectus. Size: 2.6 MB. Type: PDF. Document Description: An introduction to all postgraduate programmes across the University. Download this PDF file. Size: 2.6 MB. 2019 University of Auckland International Prospectus. Size: 4.0 MB. Type: PDF. Document Description: Contains all programmes offered by the University, with specific information for international students. Download this PDF file. Size: 4.0 MB. 2019 Undergraduate Handbook. Size: 1.4 MB. Type: PDF. Document Description: A reference guide for all undergraduate Engineering students, with essential information about your degree and specialisation, academic regulations, health and safety, social groups and networks, and more. In lieu of a physical handbook, postgraduate Engineering students can find links to essential information on our postgraduate guide page or via www.engineering.auckland.ac.nz/pg-info. You can find our policies and documentation on the University's Policy Hub. Please contact foe-marketing@auckland.ac.nz to make a request, or for more information.